As the number of residential demand-response programs and the use of smart home technologies has grown over the last several years, an important opportunity has emerged in home performance to increase residential energy savings. 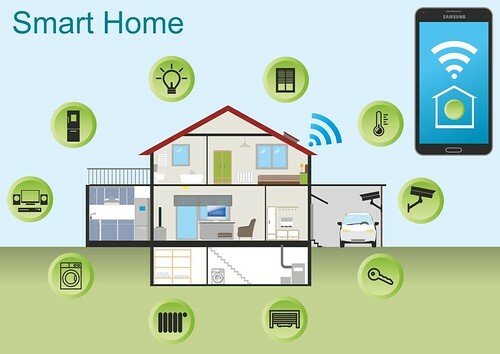 Namely, the opportunity to use smart home technologies to target leaky, inefficient homes that cannot hold a constant temperature during a period of several hours once an air conditioner, for example, is turned up or off during a demand response event called as part of a utility program. Home performance typically includes improvements to the building’s envelope and to its heating, air-conditioning, and ventilation (HVAC) systems, but to date have not often included smart-home technologies with two-way communication systems. This is not because there are no innovative minds in home performance, but because the traditional home performance tool kit does not yet include smart-home technologies that could more precisely (and cost-effectively) identify energy savings opportunities in the home. Over the last several years, there has been an explosion in smart-technology programs for the residential sector. Examples of this technology include learning thermostats and demand response. But their integration into existing residential energy efficiency programs has just started to be considered. For example, while some low-income pilot programs are combining insulation and learning thermostats to take advantage of the complementary technologies, these programs have not yet incorporated demand response. Smart homes use technology to ensure that energy is being used efficiently, but where does home performance fit in? This lack of synergy between home performance and demand response programs that utilize smart home technologies stymies the evolution of residential energy efficiency and in many cases is a missed opportunity to make “intelligent” homes more energy-efficient. Residential demand response programs are important for curbing peak demand and may be able to reduce consumer energy costs if utilities can reduce or avoid building inefficient and expensive peaking plants to meet short-term peak demand. Utilities have historically offered demand response programs to large commercial and industrial facilities, but many utilities including San Diego Gas & Electric, National Grid, and Oklahoma Gas and Electric have successfully achieved reductions in residential peak demand using automated demand response technologies. Many residential demand response programs work by offering customers Wi-Fi- connected devices or smart thermostats, like NEST or Ecobee, that allow the utility to adjust the air conditioner settings during the summer to reduce demand and high energy use (if the utility is summer peaking). Customers can override the demand response event at any time by turning down the temperature. But if they do, they forfeit the incentive for successfully completing the event. 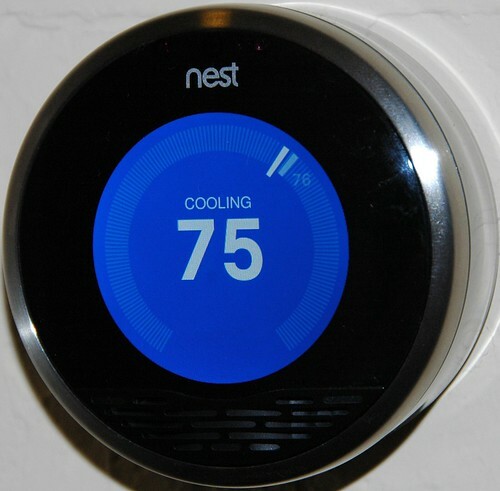 Smart thermostats like NEST allow utilities to adjust air conditioner settings during high energy use in the summer. Con Edison’s Bring Your Own Thermostat program, for example, offers customers a rebate to purchase a Con Edison-approved thermostat that allows the utility to make up to ten adjustments to the homeowner’s central air conditioner each summer over two years. Each event lasts for no more than four hours. The customer always has the option of overriding the temperature adjustment by changing the settings on the thermostat. In other demand response programs, for example, San Diego Gas & Electric Company’s Reduce You Use program, the utility sends a signal and an announcement of an event to the technology company, in this case, Alarm.com, instead of directly to the customer. Alarm.com then sends out the alerts through its cellular wireless network to the customer’s connected devices. When a utility or company determines that a home’s temperature is rising too quickly to keep the occupants comfortable during an event, it may pull the customer out of the event instead of having the customer opt out. While this may keep program participants comfortable, it misses a crucial opportunity to improve the home’s energy efficiency. The average home can maintain a comfortable temperature over the course of a demand response event if it is air sealed and well insulated because a sealed home slows heat transfer and loss of conditioned air. This is analogous to putting a cold drink in a cooler rather than in a paper bag. When a utility pulls a customer out of an event, or when a customer opts out because the temperature is rising too quickly, a virtual audit has essentially been done on that home, and the homeowner should be contacted and made aware that the home may benefit from efficiency improvements. In this scenario, a savvy utility seeking baseload efficiency savings could send home performance contractors to these homes armed with program rebates. The utility would get the biggest bang for its buck by providing larger rebates to the leakiest homes, and homeowners would benefit the most, both financially and from a comfort standpoint, from energy efficiency improvements. Providing demand response programs only to insulated and well-sealed homes is impossible. Therefore, it is important to understand why a customer opts out of a demand response event. Currently, demand response programs report opt-out numbers without differentiating between customers that opt out manually and customers that are taken out of the program by the utility because the air conditioner, for example, started running before the end of the event in spite of the higher set point. Several new approaches are being piloted that use connected thermostats and data analytics to remotely and automatically identify household-specific retrofit opportunities. These include opportunities to reduce heating energy consumption, to quantify expected retrofit energy savings, and to validate post retrofit energy performance. Fraunhofer USA, Incorporated is working with Eversource, National Grid, and Holyoke Gas & Electric over the next two years as part of a Building America-funded project to develop models that use communicating thermostat data and interval electricity and gas data to remotely identify homes with significant energy savings opportunities. The proposed remote performance assessment tool will identify the top 20 percent of homes with the greatest potential for energy savings from insulation, air sealing, and/or heating-system upgrades. The goal would be to reduce the need for an in-home energy audit, lowering program costs and increasing by 50 percent or more the rate at which recommended energy efficiency upgrades are implemented. For more information on smart homes, download the white paper “Making Sense of the Smart Home”. ICF is also working with utilities on pilots that will use data from thermostat-based demand response programs to increase a home’s energy savings. Initial results from these pilots are expected to be released later in 2017. The time has come for home performance to evolve past dumb efficiency to intelligent efficiency as new technologies squeeze more energy savings from homes and make both home performance programs and demand response programs more effective. This can only be done when the silos between home performance and smart grid disappear. Then programs that promote intelligent, whole-house efficiency will evolve. Kara Saul Rinaldi is President/CEO at AnnDyl Policy Group, LLC and serves as the Vice President of Government Affairs and Policy at the Home Performance Coalition. Julie Caracino is Director of Research and Standards at the Home Performance Coalition.